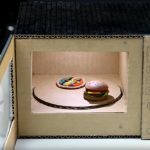 Can you microwave Gladware? | Can You Microwave? Q. I am a bit of a bargain hunter but now I think I have got myself stuck with a load of kitchenware that I don’t know what to do with. I found a bunch of GladWare for sale and snapped it up as it was really cheap (second hand) but I didn’t think about whether it is safe to use in the microwave. It’s a real mixture of stuff, including bags and containers. Some of them state that they are ‘ovenware’ so I am particularly confused about that! 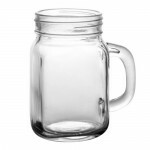 Is it ok to microwave gladware? A. Yes! 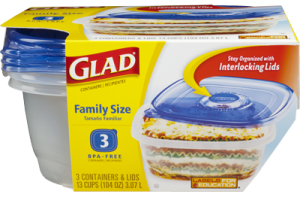 You’ll be glad to know that GladWare does make microwaveable products. 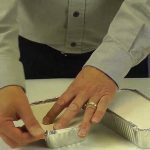 Since you have lots of different types, here is a rundown of each of the GladWare products and how to use them in the microwave. Microwave Glad ClingWrap: Ensure you have a space of at least 1 inch between your ClingWrap and the food. Take one corner of the ClingWrap and peel it back to create a vent. 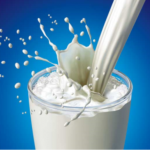 GladWare states on its website that “Use of any plastic product with food high in fat and sugar may cause melting” so do exercise caution for sugary and fatty foods. As with any plastic wrap, be careful when removing it after you have heated your food so as not to scald yourself with steam that is escaping. It is best to allow the food to stand for a minute until some of the heat has dissipated, just in case. 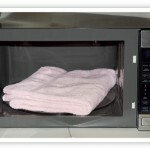 Microwave Glad Food Bags and Glad Freezer bags: Place the bag on a microwave safe dish or plate. Leave the bag open a little (about an inch) as a vent. 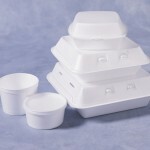 Microwave GladWare Containers: Lift one corner of the lid before microwaving to act as a vent. Glad OvenWare: The Glad OvenWare is also microwave safe. 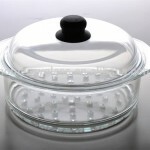 As with the other containers, lift the lid in one corner to allow venting. Microwave Glad FreezerWare: Again, just as with other GaldWare containers, you can use it in the microwave with one corner of the lid left open. If in doubt about any of your products, the best bet is to check with the manufacturer. Many have useful FAQ sections or offer a customer service line to help you with questions. 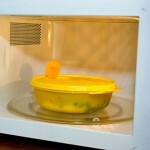 Always follow instructions to ensure your containers and microwave stay in good condition and to avoid safety risks. Enjoy your bargain GladWare, we hope you put it to good use!